Charcoal, watercolor and pastel artists around the world use UART Premium Sanded Pastel Paper to bring their works of art to life. UART Premium Pastel Paper was developed to fulfill the demands of exigent artists, regardless of their preferred medium. The moment you put pastel or pencil to our paper for the first time, you’ll immediately notice the difference between UART and the paper you’ve been using. The quality, uniformity and tooth of our sanded paper provides the base for your creative journey, and its gripping grade ensures the portrait, landscape or abstract you create will live on well past the moment you set down your pastel or pencil. UART is very proud to have so many talented artists using our paper today. See why artists choose UART over other media. When I first heard about UART paper I was excited, especially when I found out Uneeda was producing an 800 grade. The second I touched pencil to paper I knew this was the surface I’d been looking for. It was perfect and an absolute delight to work on. I Love UART! 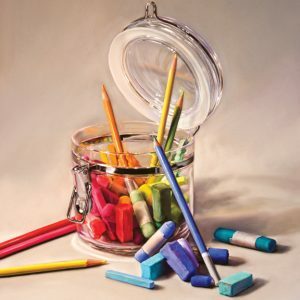 The surface is perfectly uniform, it takes all wet forms of underpaintings including alcohol washes, watercolor, water, oil washes, it is easily toned, it dries completely flat, and it performs perfectly with every brand of pastel. I also love the fact it comes in several grits. It is a perfect surface for soft pastels! A demanding artist requires a partner that demands more from its paper. Our dedication to quality, dependability and value ensures you can create without compromise.